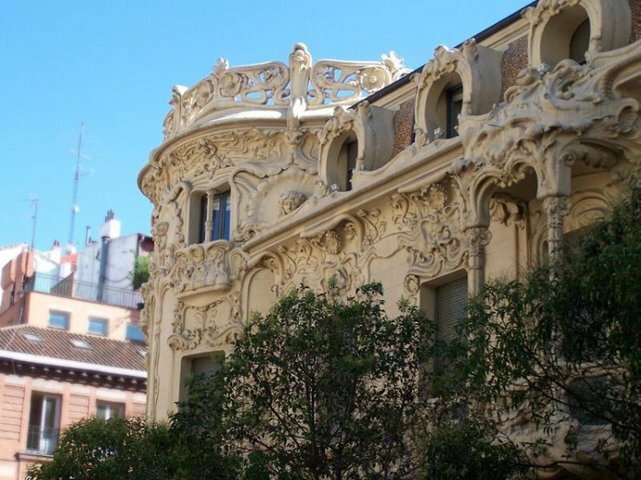 The Palace of Longoria, located in the Chueca neighbourhood, is one of the most beautiful and secret buildings in Madrid. It is currently housing the Spanish Society of Authors and Publishers headquarters. This is one of the rare examples of modernist architecture of the capital and a unequalled testimony of this style.